The Gingerbread House Surprise is a Tactical weapon. Availability for purchase is limited to the Great Winter Hunt event. Warmth and the smell of baking cheese biscuits draw mice into this charming little gumdrop house, where they will find a present, waiting just for them. The mice unwrap the present, to find, in place of the cheese biscuits, a mouse-sized parachute. Once the mouse puts on the parachute, a burst of reverse Santa magic shoots it out the chimney, into the air to a land far away. Being flung into the air isn't what the mouse had on its list, but it's the thought that counts. 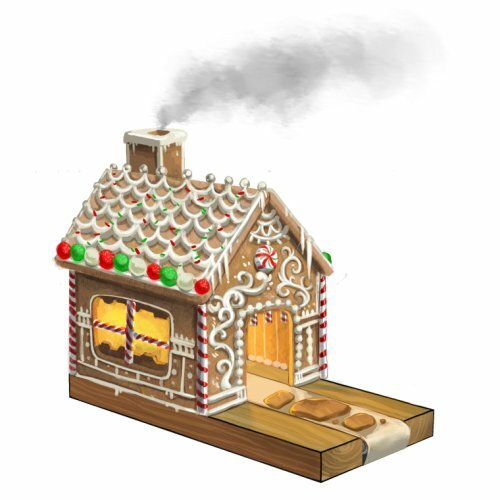 2016: The Gingerbread House Surprise was available for 75,000 gold and 2 Advent Chocolates from the Great Winter Hunt 2016 Trapsmith. 2015: The Gingerbread House Surprise was available for 75,000 gold and 2 Advent Chocolates from the Extreme Toboggan Challenge Trapsmith. 2014: The Gingerbread House Surprise was not available during the Great Winter Hunt. 2013: The Gingerbread House Surprise was available for purchase for 75,000 gold and 50 Ice Coins during the Great Winter Snowball Fight. Prior to the Great Winter Hunt event held in 2011, the Gingerbread House Surprise could only be crafted given the proper ingredients. The Gingerbread House Surprise acquires a 20% Power Bonus when armed with Snowball Charms. 8 December 2009: The Gingerbread House Surprise was introduced as part of The Great Winter Hunt '09. 13 December 2016: The Gingerbread House Surprise gained a 20% power bonus when armed with Snowball Charms. This page was last edited on 27 January 2019, at 01:16.